In the spirit of the season, Croakey has compiled a special publication for our readers – highlights from our extensive coverage of health conferences during 2017. We hope you find it useful and interesting. 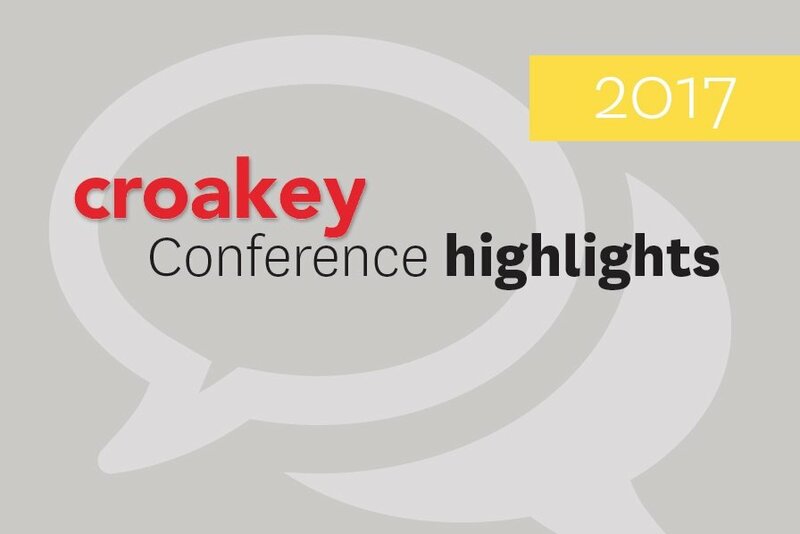 Download a copy here: Croakey Conference Highlights 2017. This year, I’ve spent nearly two full weeks in total at seven public health conferences across Australia, live tweeting, broadcasting video interviews and following up over the following days and sometimes weeks with news and feature stories. As a journalist, to spend two or three full days (and often nights) immersed in a single conference is a gift at a time when mainstream media’s capacity to cover health and social issues in depth and breadth is ever diminishing. Since its launch in 2013, the Croakey Conference News Service has covered 60 conferences across Australia, on Indigenous health (including global conferences on cancer and HIV and AIDS), rural and remote health, mental health, primary care, medical regulation, obesity, over-servicing, and many other issues. Each conference has its own compelling stories and spirit, particularly those focused on Indigenous health and wellbeing – as National Health & Medical Research Council CEO Professor Anne Kelso experienced at the 6th Annual NHMRC Symposium on Research Translation, co-hosted with the Lowitja Institute in Brisbane in November (#ResearchTranslation17). “What a meeting,” she told delegates in her closing speech, saying she had been “absolutely blown away” by the two-day event that opened with powerful Welcome to Country ceremonies and featured “courageous conversations” about race and racism in health and health research systems and workforces. Another standout for me this year was the Victorian Mental Illness Awareness Council (VMIAC) biennial meeting(#VMIACConf17), which created a space filled with laughter and tears as speakers called out the harm and trauma experienced by mental health consumers in health services, workplaces and the community – and also celebrated their strengths, victories and “different (and) … larger ways of being in the world”. We saw similar themes emerging from the TheMHS conference in Sydney that centred the voices of lived experience, and was covered by Amy Coopes (#TheMHS2017). Delegates heard that employing peer workers in mental health is about much more than ensuring their voices are heard – it is a political act that re-frames the balance of power and is part of a movement towards greater equity, rights and justice. Conferences can provide a platform for voices still too rarely heard in wider public debates, and it is a privilege to be in the room to hear them, as well as to bring them to Croakey’s readers. More generally, these conferences, as profiled in this publication, enable us to connect Croakey and our readers to leading thinkers and practitioners in multiple fields and to current research, to the evidence of what works to improve health and wellbeing. The need to get that evidence out more widely has been highlighted by former Northern Territory Royal Commissioner Margaret White, who despaired at the lack of political will to learn from the overwhelming international evidence on failed youth detention and child protection systems, like Don Dale. “The evidence from around the world was overwhelming about this system not working; it wasn’t as if it was a very recent phenomenon. It was quite well established, and I find it terribly depressing that those who get elected to high office seem disinterested in evidence-based solutions,” she said. help ensure the sustainability of Croakey. There are inherent tensions in this funding model – how to ensure editorially independent coverage while being funded by the conference organiser (or, in one case this year, by our own crowdfunded campaign for #HealthMatters). We seek to manage these tensions by ensuring our reporting is anchored in Croakey’s commitment to transparency and independence. While conference organisers pay for the time and costs of journalists and editors, the reporting remains independent, not directed or vetted by organisers. The service is available only to those conferences or events that we judge to have some public interest merit, and that are likely to be of interest or use to our readers. We stress: this is NOT a media and public relations service, and we find organisers generally respect that as much as we do. We offered the service as an example of media innovation in our Croakey submission to a Senate inquiry into public interest journalism. The inquiry offered great promise when it was set up earlier in the year by high profile Senators, including Scott Ludlam, Nick Xenophon, and Sam Dastyari, to look at the structure of media organisations, tax arrangements, competition policy and the increase in fake news – but is worryingly waylaid now by their departures. The gift of these conferences for Croakey is the immersion and the opportunity to practise what we describe as social or standpoint journalism (you can read more on that in an upcoming edition of Australian Journalism Review). For me, that includes seeking solutions rather than describing ills, privileging the voices of consumers and communities who too often go unheard, and celebrating a community at work. Conference presentations on the harms that health and social systems often inflict on individuals and communities also usually have lessons for the media and journalism. I flinched, for example, through a keynote address at the #ResearchTranslation17 conference by Canadian Indigenous researcher Dr Carrie Bourassa, warning about “helicopter” research that is more about “stacking CVs” than public good. Conference reporting has also offered new and exciting collaborations in journalism. There’s nothing like covering one with Summer May Finlay, a Yorta Yorta woman, academic, public health consultant and contributing editor at Croakey, to see keynote addresses and research presentations through her lenses (not to mention watching her broadcast live on Periscope with one hand while live-tweeting with the other). But as well as the Croakey Conference News Service being a gift for my journalism, it’s also this year a practical one. Among my stocking fillers this Christmas are the report of the 14th National Rural Health Conference for my brother, who works in local government, and for my father-in-law, who rails about the lack of attention in Australia for rural issues. The report of the Congress of Aboriginal and Torres Strait Islander Nurses and Midwives conference is printed and wrapped for my sister-in-law, who works as a nurse in aged care. We are pleased at Croakey to offer this publication – Croakey Conference Highlights 2017 – as a gift to our readers. We hope it is an enjoyable addition to your summer reading. It profiles a story and/or video interview from each conference and event covered this year (see the contents list below). We thank all conference reporters, organisers, presenters and tweeters who engaged with us in 2017 – see the list here. Is the WA Government set to increase the risk of childhood drownings?